I’m sharing with you guys two of the new hot colors for Spring 2016 because NOW is the time to invest in some pieces you know you’ll be able to wear now and come Spring. I love each of these colors separately, but I also think they’re lovely paired together. 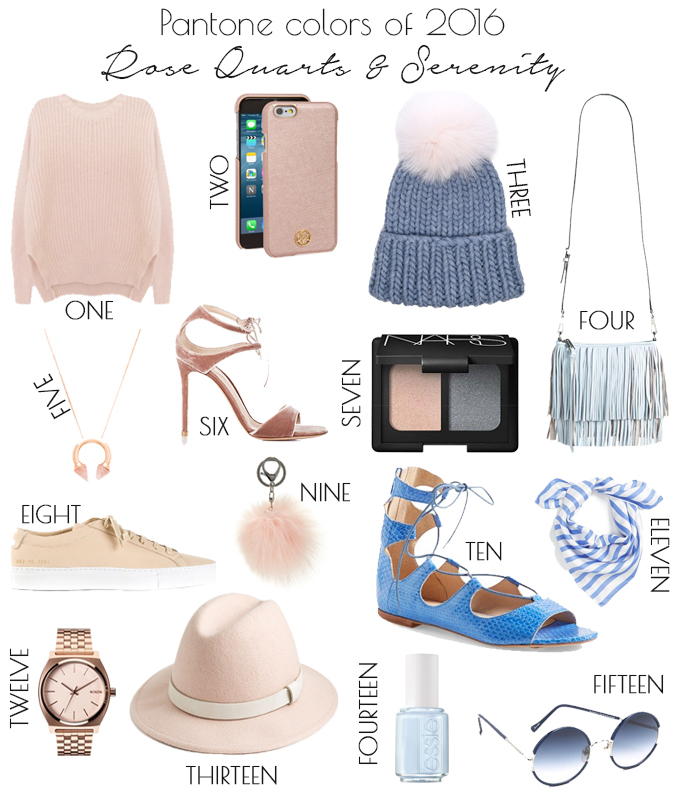 There’s something about the cool tones of each but the warmth they bring to a look when they’re both paired together. I’m obsessed with that Eugenia Kim pom pom beanie and am going to try and snag one before heading to Santa Fe next Tuesday! I am beyond excited to see the snow. Eeek! !